The year 2018 is officially here and with it many new and interesting Android apps and games. In this article, we list top 10 best Android apps and games for January 2018 to help you get the most out of that new smartphone Santa got you for Christmas. But don’t worry: all apps and games on this list will work just fine even if you’ve been on Santa’s naughty list and your smartphone isn’t the shiniest. Grammarly is a popular grammar checker with a deep understanding of more than 250 grammar rules. Grammarly used to be available only as a browser add-on and a web service, but you can now enjoy it also as a keyboard for your Android device. Proof-reading with the Grammarly Keyboard happens automatically as you type, and the keyboard seamlessly integrates with all Android apps. Best of all, the Grammarly keyboard not only corrects your mistakes but also displays a clear explanation for each. When it comes to this month’s best Android apps and games, none is arguably as useful as this one. Selfissimo! is one of Google’s photography appsperiments, as the company calls its “usable and useful mobile photography experiences built on experimental technology.” The idea behind Selfissimo! is to help you take better selfies by removing the shutter button. You simply point the front-facing camera at you, tap the screen to start a photoshoot, and Selfissimo! automatically takes a photo every time you pose. When your photoshoot is over, Selfissimo! creates a contact sheet, allowing you to save individual photos or the entire photoshoot. ProtonVPN is a popular virtual private network service developed by the same team of CERN and MIT scientists behind ProtonMail, the world’s largest secure email service. By extending a private network across a public network, ProtonVPN allows you to send and receive data through a secure and private tunnel, making it possible to browse the web anonymously or bypass various geo-restrictions. Compared to other VPN apps for Android, ProtonVPN stands out because it’s the only free service with no invasive ads. Professional designers either hate the graphic-design tool Canva because it makes graphic design simple for everyone, or they love it because it greatly simplifies their work and allows them to work with much more clients than they could otherwise. Now, Canva has an Android app, and it’s just as great as the website. With more than 60,000 professionally designed templates to choose from, Canva enables everyone to effortlessly create eye-catching flyers, posters, banners, social media graphics, invitations, collages, and much more. Canva is free, but premium templates and graphics elements cost money. While there’s certainly no shortage of well-designed music players for Android, Musicolet deserves its place on this list of best Android apps and games because it knows exactly what it wants to accomplish and accomplishes it flawlessly: playing local music files. Unlike other music players, Musicolet doesn’t require any Internet permissions, so there’s no reason to worry about it not respecting your privacy. Some of the most noteworthy features of Musicolet include earphone controls, folder browsing, equalizer, embedded lyrics, sleep timer, and several well-thought-out widgets. The mobile MMORPG market saw healthy growth in 2017, and, with games such as Luna Mobile, it seems that this trend will continue even in 2018. Featuring three distinct classes—Warrior, Magician, and Assassin—the players of Luna Mobile can emerge themselves in a massive world filled with fantastic animals, interesting challenges, powerful skills and abilities, and even virtual weddings. Compared to many other Android MMORPGs, Luna Mobile is well-optimized and runs smoothly even on older devices. If you can get past the fact that Crush Escape asks for permission to make phone calls, this unique and visually beautiful puzzle game can provide you with hours and hours of brain-twisting fun. 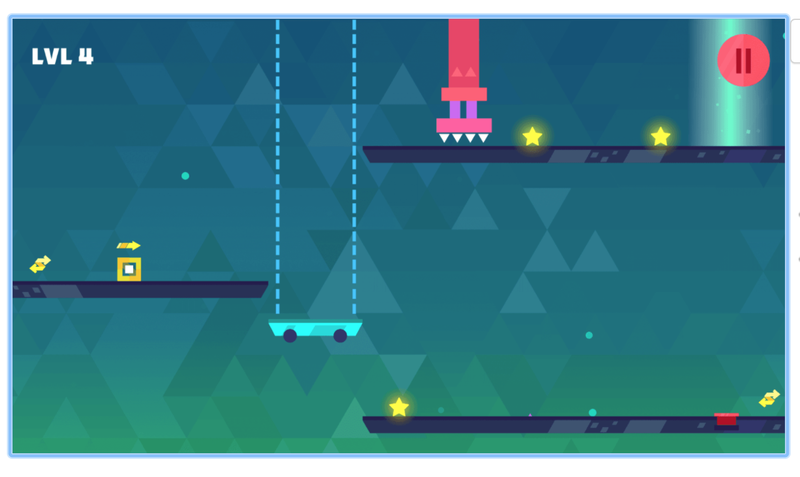 Your objective in this game is to move various geometric shapes through 30 levels filled with deadly obstacles that only keep on increasing in difficulty and complexity as you advance and improve your understanding of the game’s mechanics. Crush Escape is supported by video ads, so be ready to hit the mute button when the time comes. In 60 Seconds Atomic Adventure, you play as Ted, and you have only 60 seconds to find your family and useful supplies before the whole world disappears under the hazy and radioactive blanket of nuclear apocalypse. But reaching the fallout shelter is only the beginning, and the real challenge is making the best use of available supplies and facing difficult choices when venturing into the toxic wasteland outside. Don’t let the current rating of “only” 4 stars put you off this amazing and wildly entertaining Android game—60 Seconds Atomic Adventure is truly one of the best Android apps in January 2018, and the developers has already fixed most of the bugs that have bothered early players. We couldn’t possibly not include Peace, Death! on this list of best Android apps and games simply because we never thought that playing as the Reaper working for Death itself could be so entertaining. In Peace, Death! your job is to determine the fate of recently deceased mortals and decide whether it would be best to send them to hell or heaven. As you progress in the game, you unlock new abilities, face new challenges, and experience new unforgettable situations. We end this list of best Android apps and games for January 2018 with Onmyoji, a gorgeous turn-based battler that’s already enjoying tremendous popularity in Asia even though it’s only now available to gamers in the West. If you’re into competitive gaming and don’t mind investing dozens of hours to improve your skills by participating in PVP and PVE battles to collect nearly a hundred different magical spirits called shikigami, you should definitely give Onmyoji a try as it is one of the best Android apps when it comes to providing players with never-ending challenge.